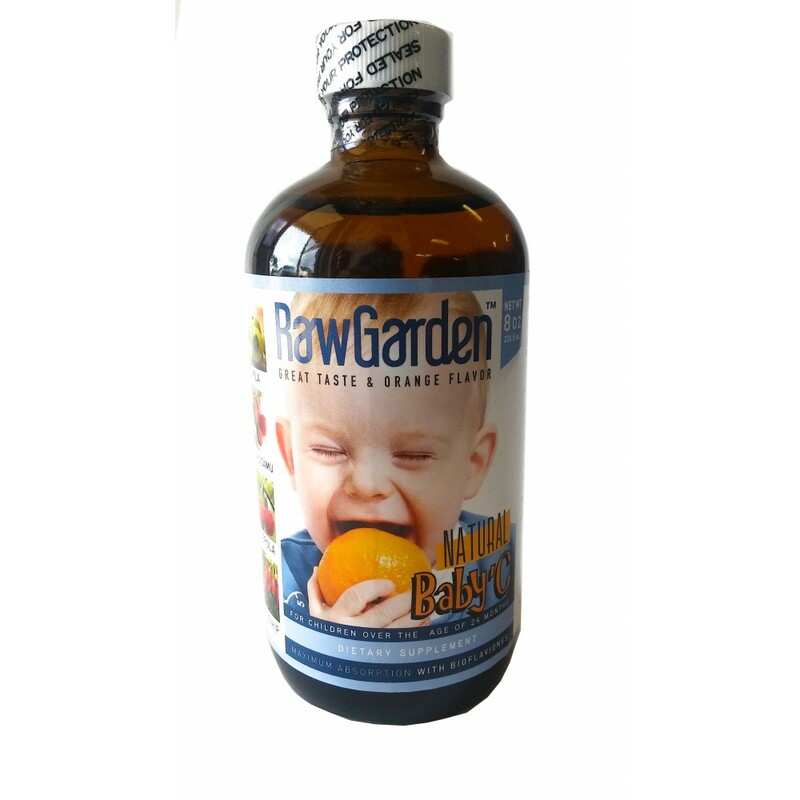 Our Raw Garden Natural Vitamin C with Rose Hip, Amla, Camu Camu, & Acerola is natural, gluten-free, & non-GMO. Our Natural Vitamin C provides a quality source of 1000 mg of Vitamin C along with a delicious citrus taste. It also includes Bioflavonoids for maximum absorption. 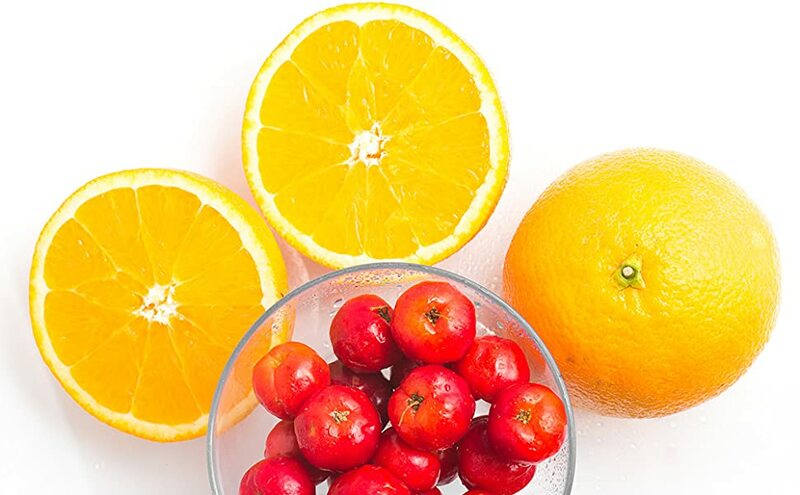 Vitamin C, which is also known as ascorbic acid, is abundant in vegetables and fruits. 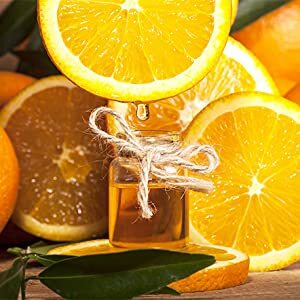 This water-soluble vitamin and powerful antioxidant helps the body form and maintain connective tissue, including bones, blood vessels, and skin. That is why it is vital for people to have a high dose of vitamin C daily. 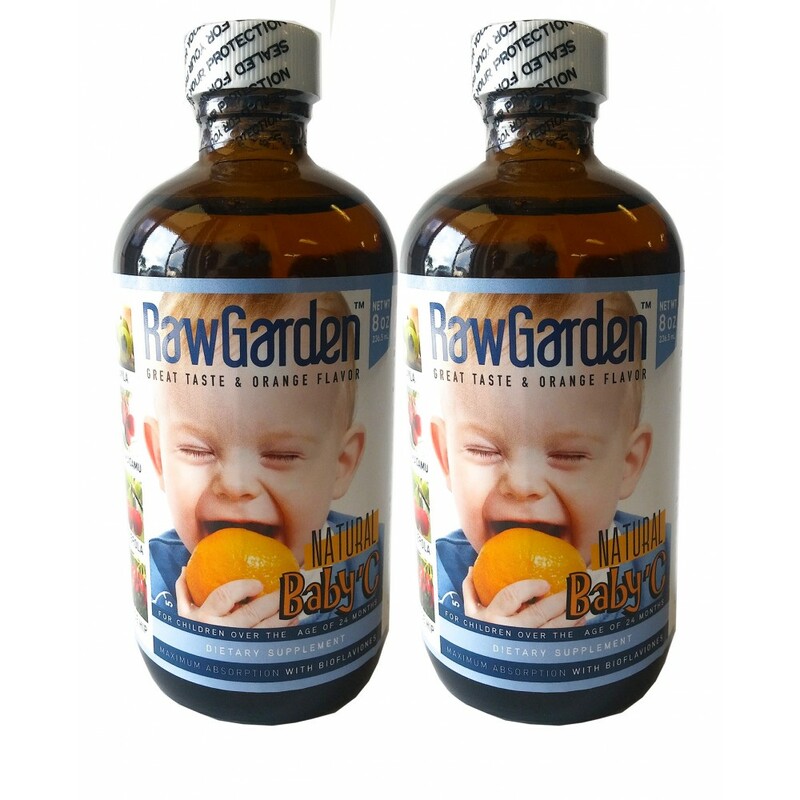 Raw Garden has two types of vitamin c: our original Raw Garden Natural Liquid Vitamin C and our new Raw Garden Baby' C Liquid Vitamin C. The original Raw Garden Natural Liquid Vitamin C is for adults who seek a powerful daily dose of vitamin C in our diet. 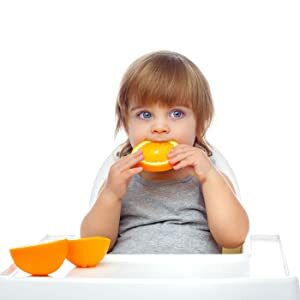 The new Raw Garden Baby' C contains 333 mg of vitamin C, which is a safer dose for children over the age of 24 Months. Our original Raw Garden Natural Vitamin C contains Ascorbic Acid, Amla, Camu Camu, Acerola, Yacon, & Rose Hip. This sweet blend delivers 1000 mg of vitamin C per serving! As a dietary supplement, take 15 mL (1 Tablespoon) 2 times daily or as directed by your doctor. It may be mixed with water or a beverage of your choosing. Our Raw Garden Baby' C Liquid Vitamin C has 333 mg of Vitamin C per serving, which is a safer dose for young children. However, be mindful that this product is for children over the age of 24 months. Baby' C contains the same sweet blend of ingredients as our original vitamin C. Vitamin C is crucial for children's health and development. 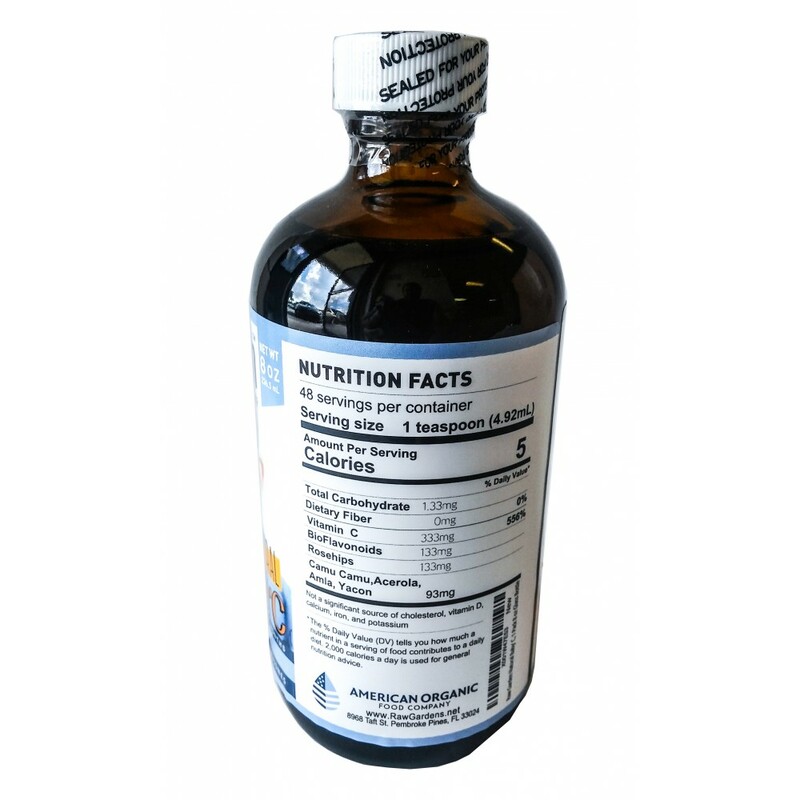 As a dietary supplement, take 4.92 mL (1 Teaspoon) 2 times daily or as directed by your doctor. May be mixed with water or a beverage of your choice. 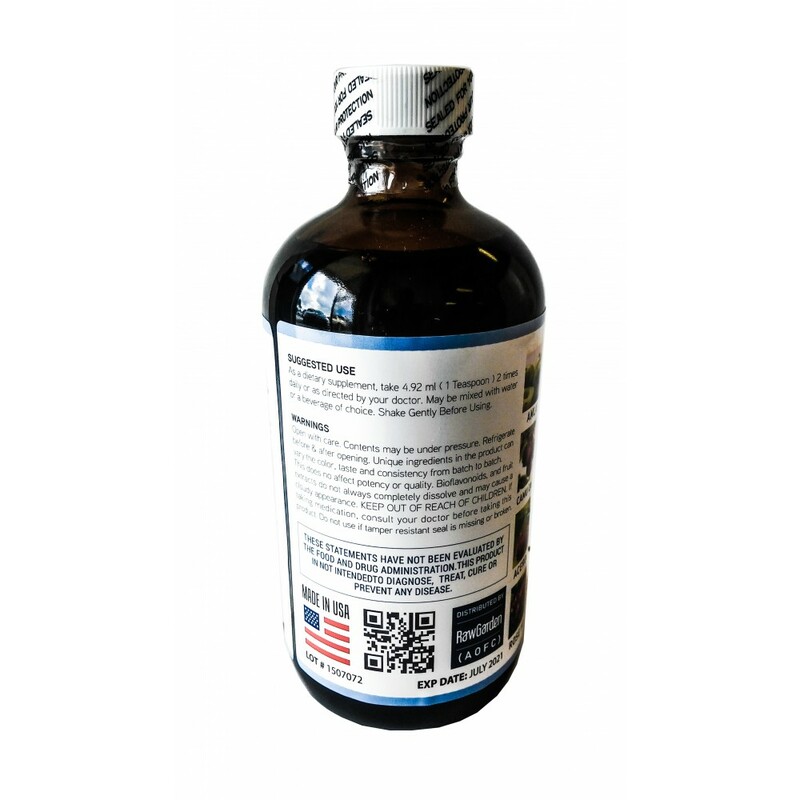 We, American Organic Food Company, are happy to be selling our Raw Garden Natural Liquid Vitamin C. Ingredients such as Rose Hip, Amla, Camu Camu, & Acerola are added to provide more flavor and health benefits to the vitamin C. It is 100 % natural, gluten-free, & non-GMO. Our Vitamin C product line is suitable for people of all ages except those younger than 24 months old. Statements regarding these dietary supplements have not been evaluated by the FDA and are not intended to diagnose, treat, cure, or prevent any disease or health condition.